If  the collector of first editions requires an instance from which to  justify the faith which is in him against those who cry out that  bibliography is naught, Leigh Hunt is a good example to his hand. This  active and often admirable writer, during a busy professional life,  issued a long series of works in prose and verse which are of every  variety of commonness and scarcity, but which have never been, and  probably never will be, reprinted as a whole. Yet not to possess the  works of Leigh Hunt is to be ill-equipped for the minute study of  literary history at the beginning of the century. The original 1816  edition of Rimini, for instance, is of a desperate rarity, yet  not to be able to refer to it in the grotesqueness of this its earliest  form is to miss a most curious proof of the crude taste of the young  school out of which Shelley and Keats were to arise. The scarcest of all  Leigh Hunt&apos;s poetical pamphlets, but by no means the least interesting,  is that whose title stands at the head of this chapter. 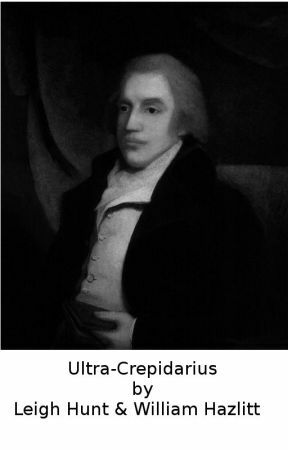 Of Ultra-crepidarius,  which was "printed for John Hunt" in 1823, it is believed that not half  a dozen copies are in existence, and it has never been reprinted. It is  a rarity, then, to which the most austere despisers of first editions  may allow a special interest. Cut for his special use, and reasonably thick? It had been written in 1818, in consequence of the famous review in the Quarterly of Keats&apos;s Endymion,  a fact which the biographers of Keats do not seem to have observed. Why  did Hunt not immediately print it? Perhaps because to have done so  would have been worse than useless in the then condition of public taste  and temper. What led Hunt to break through his intention of suppressing  the poem it might be difficult to discover. At all events, in the  summer of 1823 he suddenly sent it home for publication; whether it was  actually published is doubtful, it was probably only circulated in  private to a handful of sympathetic Tory-hating friends. Ultra-crepidarius is written in the same anapaestic measure as The Feast of the Poets,  but is somewhat longer. As a satire on William Gifford it possessed the  disadvantage of coming too late in the day to be of any service to  anybody. At the close of 1823 Gifford, in failing health, was resigning  the editorial chair of the Quarterly, which he had made so  formidable, and was retiring into private life, to die in 1826. The poem  probably explains, however, what has always seemed a little difficult  to comprehend, the extreme personal bitterness with which Gifford, at  the close of his career, regarded Hunt, since the slayer of the Della  Cruscans was not the man to tolerate being treated as though he were a  Della Cruscan himself. However narrow the circulation of Ultra-crepidarius may have been, care was no doubt taken that the editor of the Quarterly Review  should receive one copy at his private address, and Leigh Hunt returned  from Italy in time for that odd incident to take place at the Roxburgh  sale, when Barron Field called his attention to the fact that "a little  man, with a warped frame, and a countenance between the querulous and  the angry, was gazing at me with all his might." Hunt tells this story  in the Autobiography, from which, however, he omits all allusion to his satire. Mercury  was in a state of rare fidget from the discovery that he had lost one  of his precious winged shoes, and had in consequence dawdled away a  whole week in company with Venus, not having dreamed that it was that  crafty goddess herself, who, wishing for a pair of them, had sent one of  Mercury&apos;s shoes down to Ashburton for a pattern. Venus confesses her  peccadillo, and offers to descend to the Devonshire borough with her  lover, and see what can have become of the ethereal shoe. As they reach  the ground, they meet with an ill-favoured boot of leather, which  acknowledges that it has ill-treated the delicate slipper of Mercury. This boot, of course, is Gifford, who had been a shoemaker&apos;s apprentice  in Ashburton. Mercury curses this unsightly object, and part of his  malediction may here be quoted. I hear someone say "Murrain take him, the ape!" Who&apos;d fain be a coxcomb, and calls himself Murray. Be these the court-critics and vamp a Review. Miss all that is good, that ye miss not the Court. the indications of the satirist&apos;s acquaintance with the private life of his victim, all these must have stung the editor of the Quarterly  to the quick, and are very little in Hunt&apos;s usual manner, though he had  examples for them in Peter Pindar and others. There is a very early  allusion to "Mr. Keats and Mr. Shelley," where, "calm, up above thee,  they soar and they shine." This was written immediately after the review  of Endymion in the Quarterly. 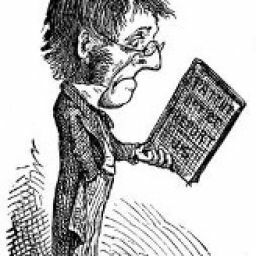 At  the close is printed an extremely vigorous onslaught of Hazlitt&apos;s upon  Gifford, which is better known than the poem which it illustrates. In  itself, in its preface, and in its notes alike this very rare pamphlet  presents us with a genuine curiosity of literature. From Gossip in a Library, 1891.